I just wanted to do a quick review of the new Crema Coffee downtown. I only stopped by for a coffee and scone to go, so I won't be able to review their food options this time. This cute little coffee shop is located on High St next to the Love Love Teriyaki in the same complex with Exit Real World and La Margarita Express. The decor is comfortable and upscale, the coffee and scone were good, and the service was very friendly and professional. There were a couple of customers ahead of me ordering sandwiches and salads to go, and at least one customer on a laptop. There are plenty of comfy chairs a well as tables. 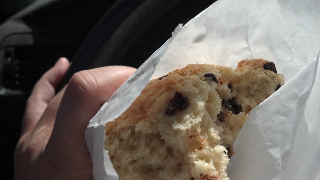 I asked about where they got their pastries and some were from local places, like the cupcakes from Sugar Sugar, while others, (like the perfectly fine scone I had) were delivered from a vendor. I did notice that they have Bubble Tea on their menu, which is a drink option that has been missing from the downtown area for awhile now. 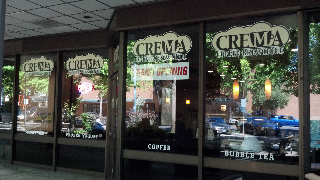 My overall take on Crema is that it will be a nice addition to the downtown coffee and cafe scene. I went there last weekend specifically to get bubble tea. As they have it listed on their menu, it isn't bubble tea, but a bubble smoothie. Kind of odd to call it tea when there isn't any. Although it wasn't what I wanted or expected, I will say it was still tasty. The next time I go, I am going to ask if I can have actual iced tea with the "bubbles" in it, to create what I expect from something called bubble tea. Hopefully they will be willing to do something like that. Lovely, friendly people, and a nice space. They are using Stumptown coffee and the owner (?) says they are getting pointers from Jesse at Broadway Coffeehouse so that can't be bad at all. I had a delicious tiramisu in a cup, which they said they get from a Korean bakery in Portland, along with some of their other pastries. I've always wished there were more quality "coffee and dessert" options in Salem, vs. "coffee and earthy whole grain pastry" so it was a special treat. The coffee is good too. 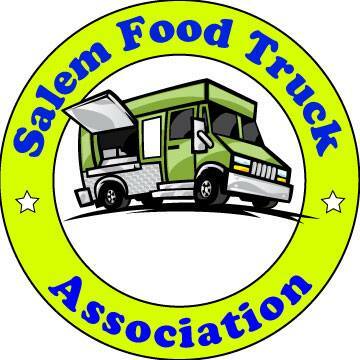 I hope Salem will support another Stumptown venue! Very good place. It is a nice space and they can make a true cappuccino. We know the owner and manager of this cafe and we are very excited to see them up and running! I think they will bring a good energy to the downtown coffee scene. There's a Thai place (Thailand Restaurant?) in downtown that still sells Bubble Tea. Yes the Thailand Restaurant has a sign with "Bubble Tea" on their front window. This is the place on Liberty SE right across from the Reed Opera House. It's great to see a coffee place in downtown that focuses on making great coffee. The Beanery roasts great coffee beans, but the employees there couldn't care less and the product is very average. Clockworks uses good beans (Stumptown), but they don't seem to have much interest in really making good coffee. Gov Cup is a nice place with nice people, but they burn their beans and the coffee and espresso are both burnt tasting. That and I don't seem to use a very good water filtration system. Broadway is the only place in town that has really focused on making great espresso and coffee. I'm glad to have a new player downtown. I like the compare/contrast--good topic for its own post perhaps. I used to go to the Beanery a lot because I like their spaces for hanging out, but the service is often surly and the food choices are stuck in the 1980s from when they were practically the only game in town in Eugene and Salem when it came to espresso--the menu badly needs a revamp. Very disappointing that they stopped using Stumptown beans!! It was easily the best cup of coffee in downtown, but not any more. Love the friendly, relaxed atmosphere of this shop, the baristas are always friendly and personable, and the coffee is excellent. I heard they stopped using Stumptown coffee, and was disappointed until I tried what they use now, which is Tico's coffee, it was fantastic! They know what they are doing, for sure!